Browser Games are an excellent (and very appropriately name) remedy for boredom. These are games played directly through an internet browser, without having to download games locally on the PC. In the past, for these type of applications you needed Flash Player and an Adobe plugin. Now, many web applications, streaming services and games are taking advantage of the new HTML5 technology. The result is fluid and light web pages, with multimedia features, complex 3D animations and increasingly engaging interactivity, without having to install plugins and additional components. The only requirements are an internet connection and compatible, updated updated browsers; namely Safari, Chrome, Opera, Firefox, Internet Explorer. Also, it is not to be underestimated that these games can be played online from both Windows PC and Mac, Linux and even iPads or iPhones that do not support Adobe Flash. Google has released a new Chrome Experiment to demonstrate the capabilities of new web technologies in HTML5 supported by the Chrome browser, Jam With Chrome. This is a real music studio where you can play different instruments directly from the browser, using the mouse or the keyboard. Besides the fact that the site is fast and fluid, the peculiarity lies in the fact that you can play a “Jam Session” in the company of one or more friends, playing together on the same instrument. You can choose to play Classical Guitar or Electric Guitar, Bass, Drum, Drum Machine and Piano. Old Atari game fans can enjoy the new Atari online games portal used by Microsoft to promote Internet Explorer 10 on touchscreen computers. On the website, you can register to play multiplayer games online or you can play against the computer. The selection of games is Combat, Lunar Lander, Missile Command, Pong, Super Breakout (Arkanoid version), Yars Revenge, Asteroids and Centipede (similar to Space Invaders). All the scores are memorised so as to compose a global general classification. For Tetris lovers, there’s Torus, a 3D HTML5 game where the Tetris pieces fall on a rotating circle.A very compelling variant that certainly will not disappoint the nostalgics, indeed it will make them want to come back to fit the most loved/hated bricks of history. Galactic Plunder is a game of space-saving spaceships which is very beautiful, in terms of graphics. Remember the old interminable arcade games of your youth, but with the possibility of collecting upgrades for the spacecraft. Send Trap is a game where you have to rotate a labyrinth box, to let out the sand it contains. An interesting puzzle game, which will keep the lovers of the genre glued to the screen for hours. Pac-Man, the famous game of the 80s, can now be played online on worldsbiggestpacman.com with lots of different mazes to choose from. You can play just for fun or by taking part in a challenge with the highest scores by logging in to your Facebook account, comparing scores with friends and going back to the arcade room. Lux Ahoy is a very nice puzzle game in which you assume the role of one of the two pirates at war. They fight each other by shooting with cannons from their respective boats. The graphics are nice and if there were more than three levels, it would be a truly epic game. 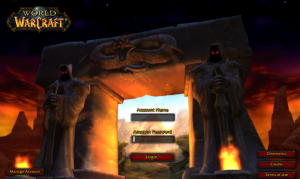 Will vanilla WoW be free to play?